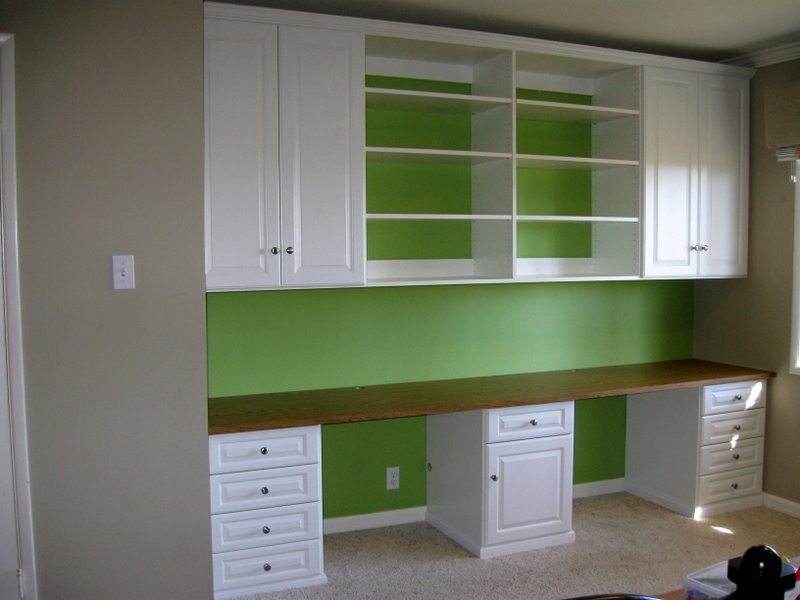 Custom Designed White Melamine Home Office System. 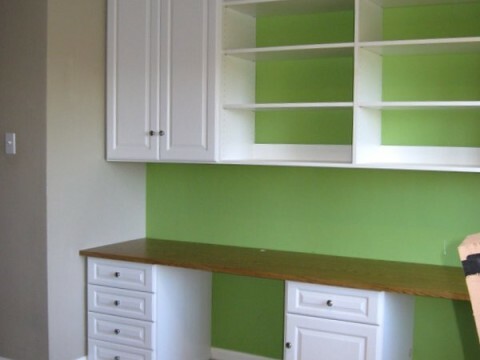 Built from 3/4″ white melamine. 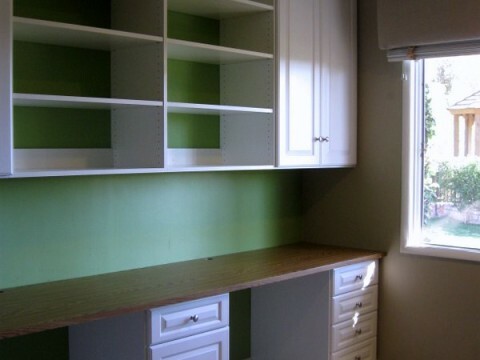 Drawer faces and doors are Traditional Raised Panel design. The counter top is a custom stained solid wood top. All drawers are 1/2″ melamine construction with rabbited bottoms and 100lb full extension slides. Thermo-foil base and crown molding finish off the details.